As the World’s number one personal transportation solution for Police and Security markets, the Patroller is a proven transportation option which offers more demonstrable benefits in a variety of different environments than any other personal transport solution. Over 1,500 fleets have been deployed in Police and Patrol markets Worldwide accounting for over 10,000 electric personal transportation devices, effectively enhancing police presence and improving response times. The Segway x2 Patroller empowers officers to travel to a scene faster than they could on foot and without fatigue, officers arrive at the scene of an emergency with the energy and composure that they need to appropriately respond to it. 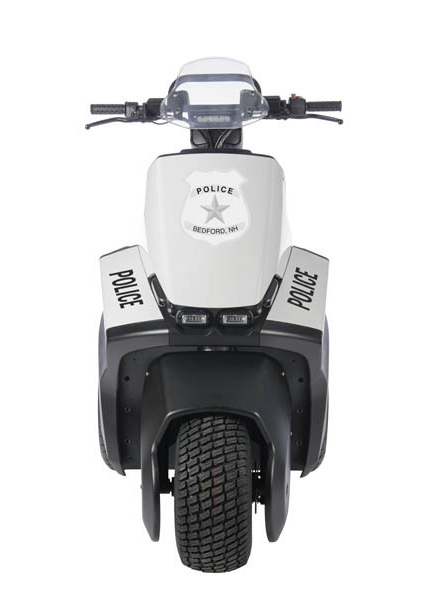 Additionally, the Segway Patroller offers a barrier of protection to officers in potential assault scenarios. 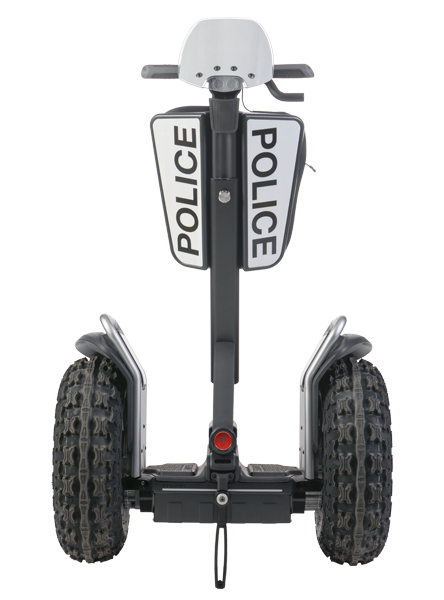 The Segway Patroller adds 8” of height, this allows officers to oversee a larger area and places them at an increased elevation so that they can be clearly seen (similar to the horse patrols). This additional height conveys a strong Police presence and helps to deter crime. 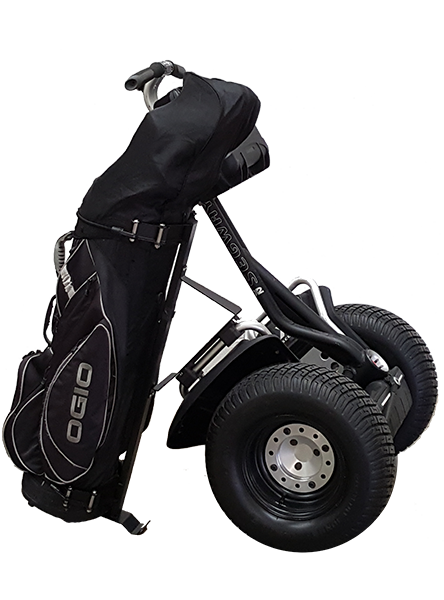 The Segway Patrollers true zero turning radius allows it to easily manoeuvre in very tight spaces, including between parked cars. The Patroller can pivot within it’s own shoulder width footprint and transition seamlessly from forward to reverse. This is an innovative feature that no other mode of transportation can offer. 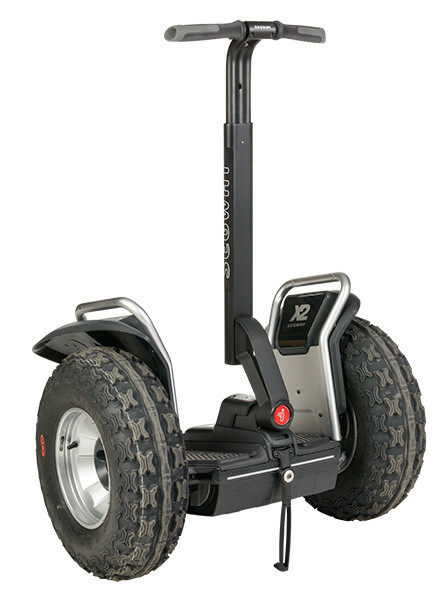 A Segway Patroller easily traverses various terrain quickly and dependably. 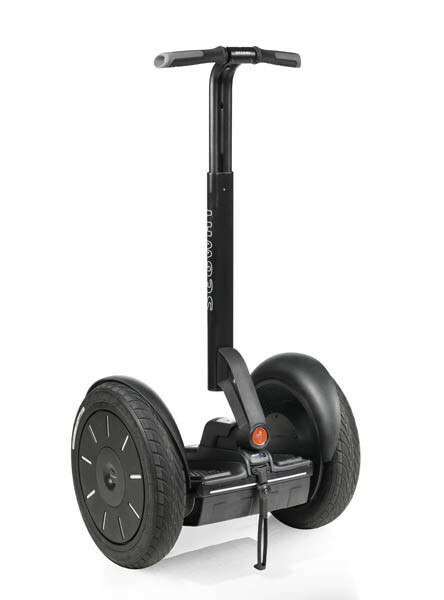 Unlike other transportation options, the Segway Patroller is flexible enough to travel on most surfaces, up hills and ramps, over dropped pavement curbs, into elevators and through doors. The Segway Patrollers unique and patented self-balancing technology is the ultimate ice-breaker, it draws a crowd of amazed and curious citizens whilst remaining open to public engagement just like an officer would be on foot. The Segway Patroller can travel up to 12.5 miles per hour and cover distances up to 24 miles on a single charge, enabling officers to complete patrol duties up to 3 times faster compared to walking the beat. It is safe to assume that impact injury and officer fatigue is reduced on patrols which utilise Segway personal transportation. At only 105lbs, the Patroller is portable and can be easily stored. A single unit can be deployed in a matter of seconds. The Segway is powered by 2 powerful lithium batteries, which provide officers with an average of 4-6 hours of powered transport on flat terrain and can be supplemented by a backup battery which is simple to exchange. All of this makes the Patroller a highly versatile zero emissions personal transportation solution for any community policing and rapid response scenario. The Segway PT is also ideal for crowd control at music festivals and sporting occasions.